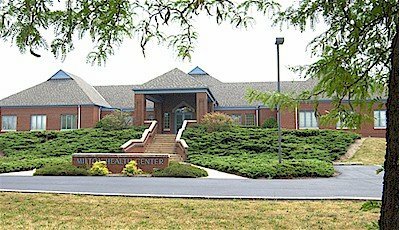 Monday, Wednesday & Thursday: 8 a.m. - 8 p.m.
Tuesday & Friday: 8 a.m. - 5 p.m.
Saturday (urgent care) appointments at Geisinger Lewisburg: 8 a.m. – 2 p.m.
We offer same day and evening appointments. Geisinger Milton is a four-physician community practice clinic offering primary care services in Milton. Our staff is eager to serve you, and we offer numerous free health-related events and screenings throughout the year. Same-day appointments are available, and we accept most insurances. Discover the difference Geisinger doctors make. Geisinger's Skilled Nursing Facility (SNF) Program, staffed by CPSL physicians, nurse practitioners and physician assistants, provides both acute and transitional care to patients living in area nursing homes, enhancing the care they already receive from nursing home staff. The SNF Program streamlines patient transition from physician offices or hospitals to the nursing home and improves patient outcomes to reduce the need for hospitalization, working closely with nursing home staff to coordinate and improve patient care.